You will not cut the yarn when changing colors, the two colors are interlaced on the wrong side of the work. It’s important not to pull the yarn too tightly to avoid puckering the fabric. We will work as indicated in the pattern, on both the right side and the wrong side of the work. Begin with a knit stitch following the chart, working with the first color. When you reach the point where you will start the design, begin using the other color of yarn. 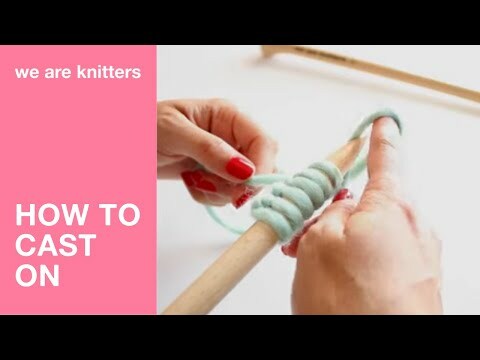 To do this, place the yarn you were using in the back of your work and hold it with a finger of your left hand. Pick up the end of the new color and hold both strands with the finger of your left hand. Start to knit with the new color. When you have to change colors, pick up the first color again. Carry the thread to the left behind your work, leaving it a little loose, and continue knitting the stitches according to the chart.You will see how the two colors of yarn are interlaced on the wrong side of your work. Turn your work and purl the next row, following the color changes in the pattern. For this example the strands from the color changes will be facing you. Continue working, changing colors as needed, taking care not to pull too tightly and remembering not to cut the yarn. If you are going to make your own design, we recommend making a chart first and to avoid knitting more than 4 stitches without changing colors, as this will create very long strands that can cause the fabric to pucker.